We’ve all heard it before, time after time by our dentists that we must floss regularly to ensure that food particles, bacteria, and plaque are removed from those hard to reach areas in our mouths. What is floss good for? Just that. Regardless of whether you feel the food and plaque or not, it does buildup in-between your teeth which can become a huge problem if it’s left there. Not flossing you teeth can lead to serious conditions like gingivitis, gum disease, and tooth decay. It can also cause bad breath (halitosis), staining of teeth, and other problems. Traditional Floss: This is the well-known string floss that you can purchase anywhere. However, even with this regular floss you can choose from different types like waxed, unwaxed, flavored, etc. The big difference between the waxed and the unwaxed dental floss is that patients find that the waxed version slides between your teeth easier for a more complete flossing session. 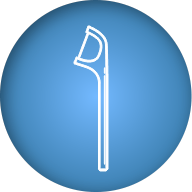 Newer floss types are made of materials like Teflon® or Gortex®. These materials slide more easily between teeth and are helpful for individuals with tight contacts between the teeth. These newer products are also less likely to shred or tear, particularly when used around dental work. Therefore, they last longer and provide a more comfortable flossing session. 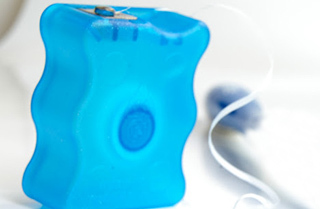 Floss picks: This kind of dental floss has become more popular thanks to our more mobile lifestyles. Floss picks are made of a plastic handle with a piece of floss threaded at the end. They can be used with just one hand and simplify the task of flossing teeth. They are particularly useful for flossing the back teeth and other difficult to reach areas, and also useful for those with arthritis in the hands or compromised manual dexterity. 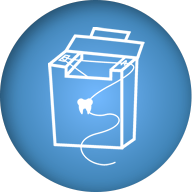 Regardless of whether you choose traditional floss or floss picks, remember that the proper way to use floss is by wrapping and creating a “C” around the tooth to closely adapt the floss to the curved tooth surface. This will produce a more effective clean than just moving the floss up and down. 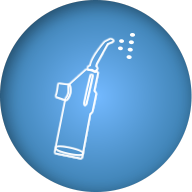 Oral irrigators: Also known as a dental water jet or water pick, an oral irrigator produces a stream of water to remove food between teeth. This method of cleaning between the teeth has become more and more popular since it’s fairly easy and some find it much more comfortable to complete daily. However, studies have demonstrated that oral irrigators are less effective than floss in removing the plaque stuck to the surface of teeth. Oral irrigators are therefore not intended as a substitute to flossing. They are most useful in removing food debris between teeth, especially for people wearing braces and other orthodontic hardware. 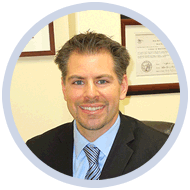 Our dentist in Pasadena, Dr. Bouzoghlanian, and staff recommend that all patients floss daily. This will maintain your gum health and will help prevent decay and infections from occurring. Remember, it is essential that you visit us regularly in addition to continuing excellent oral care habit to ensure that you remain in good health!